Mexico and the United States share a common border and many people in the U.S. are from Mexico or have descendants of people from Mexico. The United States is a country whose culture is forged by the many immigrants who make up its population. Mexicans, like other immigrants, bring many rich cultural influences from their native countries. As Mexican American communities grow, their contribution in California becomes increasingly important. Los Cenzontles is dedicated to building upon the strengths of Mexican and Mexican American culture to make a strong, positive contribution to American identity. Los Cenzontles views culture as the language through which people may communicate. This includes communication with people like themselves as well as with others. In this day and age in our complex society we believe that cultural issues must be examined and discussed thoroughly in order to better understand ourselves and to reach out to others with the goal of continually redefining the American identity. 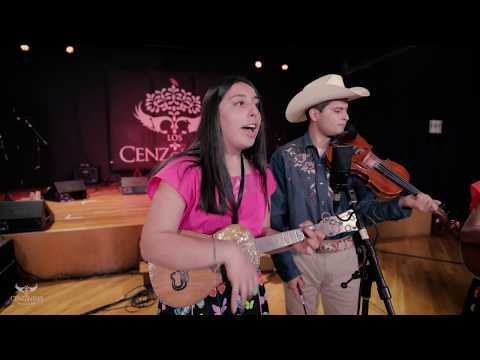 The music of Los Cenzontles is largely mestizo music and rooted in Mexico’s rich rural cultures. Like the rich roots music on the United States, Mexico’s traditions come from rural areas. String instruments were introduced to Mexico by Europeans. These include the violin, harp and various guitars from the Baroque and Renaissance eras. The ancient guitars were then adapted by the various regions to become the instruments we know today. Each of these instruments developed in its regional environment and has a distinctive sound that is tailor made for the regional music that it plays. We use a variety of these instruments in our performance.